The best scenario for the drive: Convert two of the existing mixed-traffic lanes to bus-only corridors. A group of public agencies are collaborating to redesign and rebuild the north portion of Lake Shore Drive in Chicago, starting at Grand Avenue and going to the north terminal at Hollywood Avenue called “Redefine the Drive”. The highway is under state jurisdiction. The Illinois Department of Transportation, Chicago Department of Transportation, and the Chicago Park District are leading the design process. The group recently presented several redesign scenarios. Zero percent of the highway is dedicated to buses, yet bus riders comprise 20 percent of the users. With bus lanes, they would have more reliable and shorter travel times because buses wouldn’t share lanes with the vast number of people driving alone. Keeping the number of lanes the same won’t add to the maintenance costs that the city and state already struggle to pay for. Keeping the number of lanes the same will preserve our revered lakefront’s open and green spaces. Keeping the number of lanes the same and turning one of them into a bus lane has the potential to reduce carbon emissions and pollution downtown and along the lakefront because more people would be taking buses instead of driving. Additionally, you and your colleagues in City Council adopted a Climate Action Plan, and Mayor Emanuel’s administration has adopted the Paris Agreement despite the President rejecting it. Increasing the number of lanes on Lake Shore Drive runs counter to the goals to reduce carbon emissions. The additional lanes will also subject current and future residents to a worsened environmental quality. I would like your support in steering IDOT, CDOT, and the Chicago Park District to choose a build scenario that includes creating a bus lane for the 65,000 people who ride efficient transit each day without increasing the number of lanes on North Lake Shore Drive. 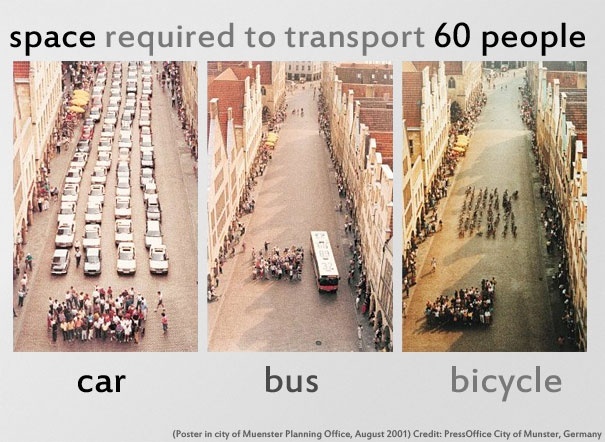 I like the message its conveying, but I could see someone arguing that it is disingenuous in that it assumes that the bus is at full capacity while each car only has a single person. I back this alternative all the way. We need people to use these templates and follow through and send them out to our legislators. If you live close to the office of one it’d be better to hand deliver the message as well as express your preference in person. Don’t assume this will be selected if you don’t do anything because it won’t if we keep quiet, due to the the lack of changing perception on how a roadway should be utilized. We need to bring it to their attention that this is what we want! Specific to Chicago, those buses are more likely to be full if we can make it easier for the bus to more efficiently travel on LSD and compete with private vehicles in that sense. People I know who drive downtown using LSD don’t seem to actually like doing so, but the constant refrain I hear is “I just don’t have an extra hour + a day to waste on the CTA.” Getting to LSD and the bus stops is beyond the scope of this project, but the least we can do is try to make that leg of people’s commute as painless as possible. I’ve taken the 147 Express from downtown several time, with my bike on the front.. The bus is always packed standing-room-only during the 4-6pm period when I can’t take the L.
The 147 can often times fill all the seats on an articulated bus. NEW lanes for buses without robbing lanes from cars would be a fine idea. Fine idea, but what about the weekends when relatively fewer buses run on LSD? …Says some guy from Wisconsin who wouldn’t actually have to deal with the highway next to our beaches being expanded from eight to ten lanes. You mean the weekends, when there are also relatively fewer private cars? Yes and then let’s advocate for a bus-only lane on Sheridan Rd. from Uptown to Rogers Park to speed up service for the 147 and 151. It could even be like the Jeffrey Express where cars cannot park on Sheridan during morning and evening rush hour. I live near Evanston and on a segment of Sheridan Rd in Rogers Park cars cannot park during rush hour periods. Granted some cars still park there; some are ticketed some are not but I’d much rather see the city ban parking on busy streets to serve bus travelers than try to enable more private cars. If I had a dollar for every time my commute on the 147 was delayed by car traffic just on Sheridan Rd. alone…. Robbing? Seriously? Practicality and urban mobility are the issues here, not some ideological battle to give drivers a god given right to most of the public space in the city. It’s already obscene how many lanes are dedicated to single occupant cars, making the city unsafe. Try living downtown sometime and see first hand how entitled car culture threatens people and their safety. No, restricting personal freedom to travel as desired is the issue that many on StreetsBlog want to see happen. False. Your organization’s policy proposals would lead to the largest restriction of personal freedom. Government forcing everyone to drive and making anyone who does not into a second class citizen whose life is not valued is the result. Just read the news, all the stories about drivers who kill people, tens of thousands a year, with little or no consequences for their actions. The tide is turning and your side is losing. Replacing public space with a limited-access road for private vehicles is about personal freedom? I first rode on Lake Shore as a child with my dad driving over 60 years ago. The road was built for vehicles with fuel and other taxes to support travel to, from & through Chicago. It is not a question of forcing people to drive, it is question of continuing to let them do so. Anyone that wants can take transit if that is their choice. I got my first license in 1960 when the fatality rate was about 5.1 fatalities per 100 million vehicle miles traveled. Today it is about 1.2 – over 75% safer per mile traveled. 1) Be careful of “data” from the IIHS which should be known as the Insurance Institute for Higher Surcharges. 2) Cities have been successfully encouraging a lot more walking and cycling which is good in many ways. But it also means a lot more exposure to potential dangers. 3) I have long thought that someone needs to legitimately research the safety gains from fewer rollover fatalities with much stronger and thicker roof posts — versus the large blind spots those thicker roof posts cause during turning maneuvers. Sounds like you’re mainly concerned with the safety of drivers. The rest of us are collateral damage as the holiness of the automobile shall not be challenged. Incorrect. I am merely stating the facts of more pedestrians and cyclists in many cities. And NHTSA notes that well over half the fatalities involve some less-safe action by the pedestrians. Safety is a TWO way proposition and drivers are not always the ones at fault. I have NO personal interest in owning an SUV or a crossover. They are almost always more expensive, poorer handling and return worse fuel economy than a roughly equivalent sedan, hatchback or station wagon. Gutless federal and state politicians failed to raise the fuel taxes when fuel was cheap to blunt the trend toward SUVs and crossovers. The NMA has long supported proper road user fees and fuel taxes are the fairest. And agreed that taller, heavier vehicles tend to be more dangerous to pedestrians – along with their other faults. The “National Motorists Association” name says it all. Get out of the way of cars, or die. Beginning with Henry Ford’s Model T over 100 years ago, the freedom of travel by private car transformed our society and economy to the benefit of almost everyone. In almost every city, far more commuters, shoppers, tourists, and commercial drivers arrive by private vehicles than those who arrive walking or cycling. Should we work to improve safety? Sure, but not by restricting travel by private vehicles which is the majority choice in almost every city. My parents taught me how to walk safely to my elementary school, a walk of about 8 blocks that including crossing a busy 4 lane collector street. Look left, look right, look left again and NEVER try to occupy the same space as a moving car. I notice that you conveniently left out transit from that statement. In the largest American cities, that statement is completely false. I think the disconnect here comes from an urban/suburban divide. You are defending the long standing policies of car dominance outside of functional major cities. That’s fine, as I actually agree that urban solutions are not appropriate in non-urban areas. In fact, I believe that there should be zero accommodations for pedestrians outside of the cities. Let the car culture rule. However, this conversation is not about those places. This entire thread is about the City of Chicago and the proposal to ram additional lanes through parkland used by millions of people, MOST of whom arrive by methods other than by car. In downtown Chicago, New York, San Francisco, and even downtown Los Angeles, the majority of people arrive without cars and travel around the area without cars. If you are going to claim the suburbs, the small cities, and the rural areas to complete car dominance, the reverse must be done in the major cities. Road capacity in most cities has been historically designed to maximize the convenience of drivers, even where the majority do not drive. Janette Sadik-Khan in New York successfully showed that restoring street space to non-vehicle use vastly improved the quality of life, reduced accident and death rates significantly, and caused an explosion in economic activity to the businesses adjacent to these improvements. Average vehicle speeds actually increased slightly, but most importantly, the streets in question were redesigned to safely serve the majority of the actual users, not a minority of drivers. Other cities have been introducing similar street redesigns, with similar successes. Where it is introduced, it is successful. There has been a massive transformation in Downtown Los Angeles over the past 20 years that was led by the dismantling of car-focused regulations against urban space. The residential population increased by 600% and is projected to triple again from current numbers in the next 20 years. The other issue with car-oriented thinking is the historic prohibition of construction in center cities without excessive amount of required parking. Cities are very popular now, but they are in short supply because it is ILLEGAL to build them out the same way as they currently exist, as pedestrian oriented places. This artificial shortage, caused by ideological purity, makes them naturally expensive. Chicago is making some progress on this front, but not enough. A recent survey found that the dedicated residential parking garages that were built in recent years as a requirement of the zoning rules were between 30-40% empty at all times. So please understand that from my point of view, living downtown and not needing a car, as the vast majority of my neighbors live, how the insistence that we need to defer to drivers is tone deaf and inappropriate. Keep that attitude in the suburbs and in Wisconsin, where it belongs. I understand your view and believe in things to make things safer for pedestrians and cyclists. I just believe that choking down car travel is not the way to do it. A notable percentage of those commuters, shoppers, tourists, etc come from far enough away or from directions that transit is not practical. Some people would like to live in metro areas, but cannot afford the housing costs. The average house in Boulder, CO just passed $1 million and homes in SF have been well beyond that level for a long time. Some who work in greater LA have to drive 1 – 2 hours each way to find affordable housing. I have driven from Michigan to Chicago 2 or 3 times a year for many years – driving both in downtown and in northeastern areas off Lake Shore where we usually stay, so I understand the driving environments fairly well. This is where I think you are exhibiting bias. Nobody in urban planning has ever proposed this. Except for a rare street closure or pedestrianization, all roads remain open to drivers. And always would. Reallocation of road space is not “choking down car travel.” That is absurd. It’s the redesign of roads to serve all users, not only drivers. When you steal a lane each way that cars now use and which will have just one vehicle in it every few minutes & otherwise be empty – that is choking down car travel. Not if the bus lane moves more people. Which it will. Single occupant cars take up huge acerage and move far fewer people. Plus, the city has a responsibility to move its residents first, not people from Wisconsin. You are assuming that all or most of the people that used to occupy the stolen bus lanes will now take the bus – which is almost certain to be false. The remaining car lanes will be even more crowded and slow than they are now at rush hours – and the bus lane will be empty most of the time. Really? Are you just making this stuff up as you go along? Do you know that of the 8 existing lanes, 30% of all passengers are currently carried by the buses, which are always stuck in traffic caused by single occupant drivers? The “no increased lanes” proposal is to give 25% of the space to move 30% of the people. Cars will still have 6 lanes. And the buses will not be in the car lanes at all, freeing up the space for more cars. Once the buses are faster and on dedicated lanes more people WILL use them. This is the reality of the city, unlike where you live, where government dictates that people either use a car to get around or risk death. And the faster moving bus lanes will STILL be empty most of the time with only a minor increase in bus ridership. The 3 car lengths a bus occupies taken out of the car lanes will NOT be equivalent to the unused roadway in the bus lanes. You also ignore that commuters are interested in the door-to-door experience which includes time BUT also includes privacy, NOT having to walk to and from bus stops at both ends of the trips, being out of the hot, cold, rainy or snowy weather, making other stops to and from work, carrying work items, carrying sports items to go to the gym on the way home, and a host of other personal preferences. Bus travel is quite inferior to private car travel for many people. Buses on Lake Shore Drive run about every minute at rush hours and about every 3-4 minutes the rest of the day. You comment, again, is describing a suburban environment, not the City of Chicago. Please, stop imposing your foreign ideology on our city. It’s oppressive. Bus travel is NOT inferior in Chicago for most people. The northern portion of Lake Shore Drive serves a population that uses transit, not cars, at a rate of about 70% for commuting and 50% the rest of the time. Prioritizing a minority of users over the majority on the north side is bad planning, wastes resources, and ignores the fact that LSD will still have 6 lanes for cars. Hoe much is enough? 20 lanes? 30? 6 instead of 8 is a 25% reduction. Simple math. Yes it is, and LSD will move more people more efficiently, plus the parkland surrounding it will not be destroyed for your personal convenience. I would not recommend destroying parkland. I still think any belief that a LOT more people would take the bus if it was faster is unlikely to come true. I think you will get 3 slower car lanes plus a faster bus ride – but with not many more riders. Not a very efficient use of pavement. That didn’t print correctly, the three buses should have long blank spaces between them with the lead bus in line with the lead car. Should look like this with the …. being unused pavement. Why? Because you don’t believe it, or do you have actual data? I’ve shown you the numbers. Transit riders are the majority in the north side. You have only made opinionated assertions with no facts to support them. The low increase in bus ridership with dedicated bus lanes is a speculation on my part. A big increase is speculation on your part. Only after stealing 25% of the car lanes and measuring the before and after bus ridership would we know what happened. The estimates of increased bus ridership are not speculation on my part, they are projections made by the city in the materials they prepared when proposing the bus lanes. Cities do not spend this much time and money on reconfiguring roads to this level without good data on what is needed for all travel modes. Both the 8 lane and 10 lane proposals include a dedicated bus lane, and both options project significant increased bus ridership. In addition, the bus lanes provide new infrastructure capscity to add a lot of additional service: new lines, more buses on existing lines, all of which are determinates of increased ridership. Your position contains no such analysis. It’s an emotional plea to a status quo and a fear of car travel being demoted to an imaginary second class status. It’s embarrassing, frankly. North Lake Shore Drive Will Get Rebuilt, But Will It Be a Great Street?